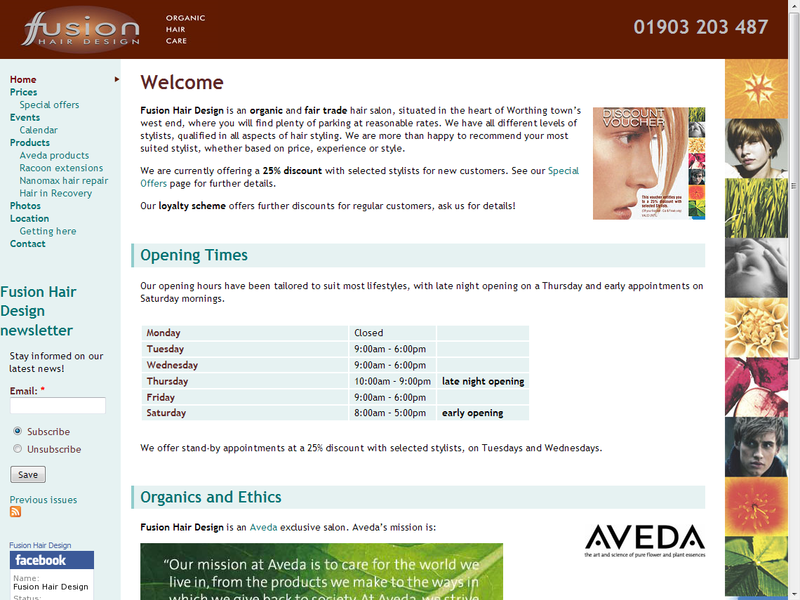 Fonant hosts and maintains the Fusion Hair Design website. The graphic design originated for paper flyers and posters, and was transferred to the website. Contents © Fonant unless otherwise specified.